If you have any questions or want to enquire about dates, use our form to contact Una & Dermot Brennan or see their website for more information. Brook Lane still shines in its olive green wrapper, set back from the road and proclaiming itself (on a pink sign) Kenmare’s ‘first luxury hotel’. 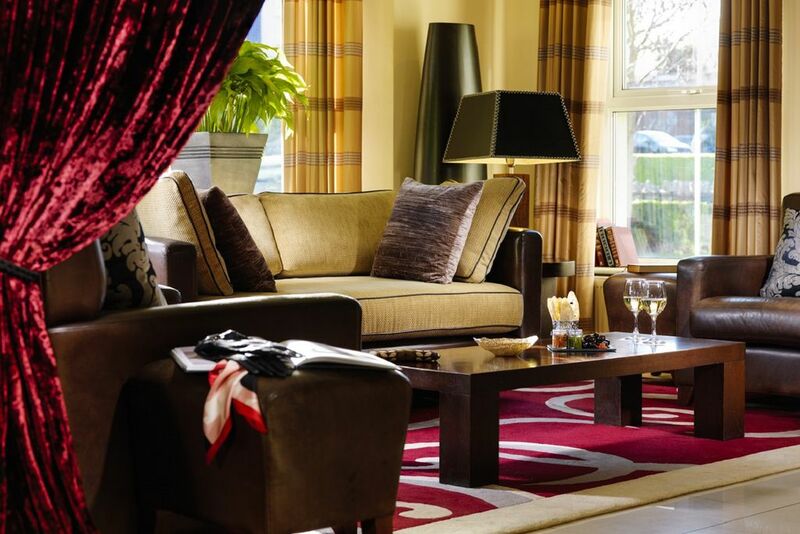 While the furnishings are new, the welcome is traditionally Irish, instantly putting you at ease. The staff make this place, and guests return for good banter and good food in the modern bistro, or the more upmarket dining room. Wherever you eat, it will be local or organic, matched by eco-friendly wines and occasionally served to a background of piano or viola tunes. Breakfast is wonderfully laid-back (you can wander down at 11 o’clock and listen to Irish radio as you eat) and delicious; porridge with whiskey, the full Irish, fresh fish every morning. Elsewhere, rooms are modern and sumptuous, with funky art, dark fabrics and duck down pillows. There’s a library stacked with books, lounges with statement wallpaper and open fires, chandeliers, mirrored lamps and beautifully hand-crafted furniture. This is a bold new place, run by a down-to-earth young couple and their lovely team; they’ll even dry your clothes on your return from the Ring of Kerry’s finest walks. Christmas Eve, Christmas Day & Boxing Day. Singles €75-€150. Dinner, B&B €85-€160 per person. Local farmers market every wednesday in Kenmare Town ,3 mins walk from Hotel,nibble food from local food producers ,browse through local crafts etc.